Sea View Yacht Club stands out among its peers as a result of having a fleet of one-design racing keelboats, owned by the members, and for the use of the members - distinctive assets available thanks to some very far-sighted members and officers over the past five or six decades. There are currently thirteen boats owned by the Club which are 'in-class' to the current design and are raced daily throughout the season from April to September. 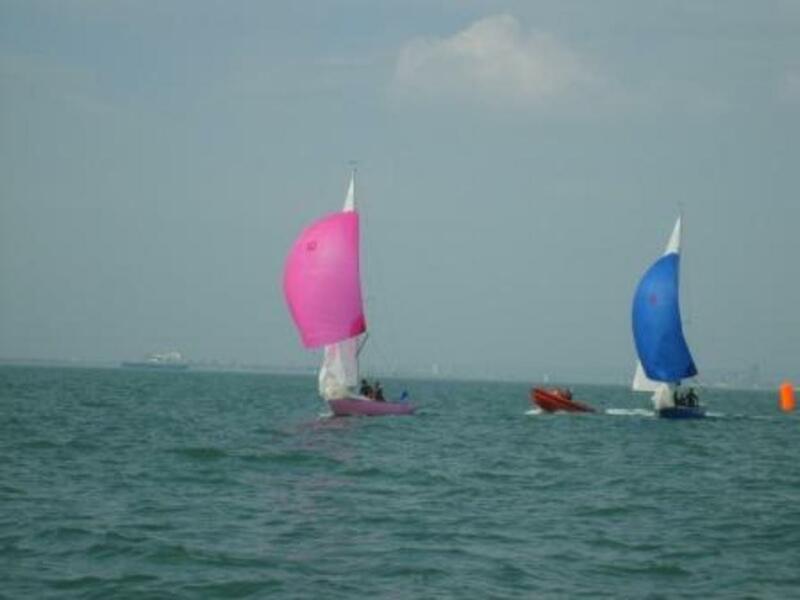 They are maintained to a high order and strictly within tightly-controlled measurements such that Mermaid racing is highly competitive with the boats themselves totally evenly-matched. Each boat has a name drawn from the Club's long history, and, of course, a unique sail-number (the Mermaids' class flag is 'U'). 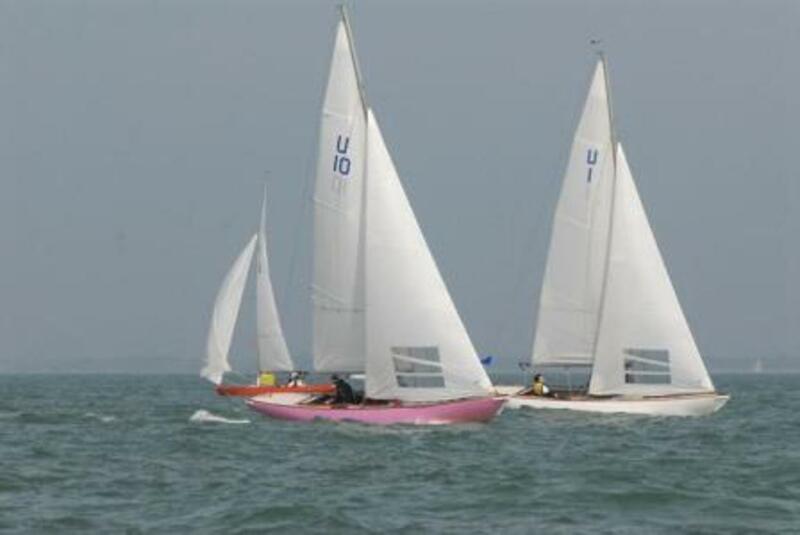 But, as the boats each have a unique hull colour (spinnakers too), members tend to fondly also refer to them as the "pink boat" or "light-green". A few other privately-owned Mermaids will also be seen on the Club's moorings. Some are in-class with the Club-owned boats; others are of previous generations. The SVYC annual Sailing Programme includes Mermaid races for up to 40 prized trophies, many of which have been competed for over decades (one was first presented over 100 years ago). 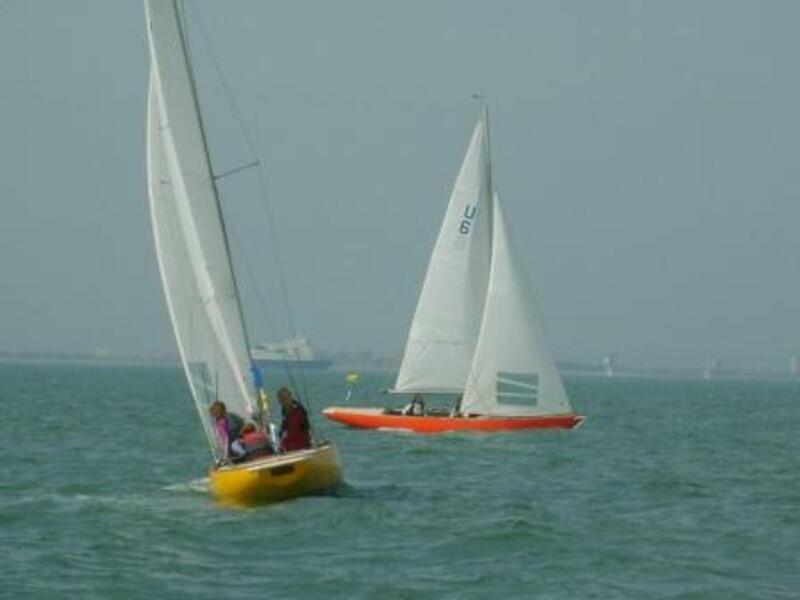 Additionally, there are Weekend, Summer and Evening points series, and match- and team-racing events, some against other Solent clubs. Mermaids are also available to members at times for private charter locally - for cruising or for tuition. Each August, the thirteen SVYC-owned Seaview Mermaids, and usually two other privately-owned Mermaids are entered in the Cowes Week regatta. Members enter a ballot for allocation of the Club-owned boats which are always fully 'taken up' for this week of high-quality racing at very good value-for-money. In keeping with SVYC's recognition of the vital importance of delivering comprehensive training to its members in sailing and racing, there are several training courses offered in the Mermaids, including courses designed for younger members. The centrepiece training course, though, is the Club's 'Adult Week', held in the third week of July. All comers, of all experience levels, have the opportunity to benefit from this week, whether in the Mermaid Fleet or in Dinghies.